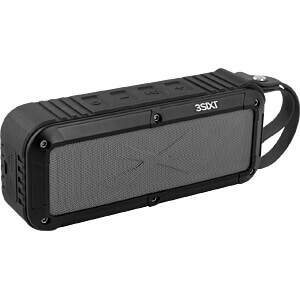 Rich sound for on the go. 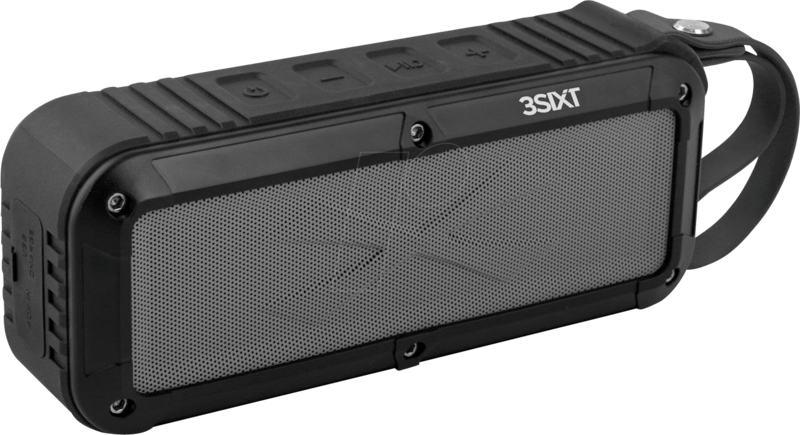 Waterproof to IPX6, the 3SIXT SoundBlock speaker allows you to play music wirelessly with clear, rich sound. 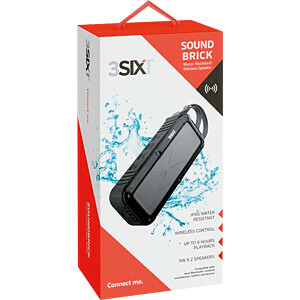 By the way, connecting is easy: just connect the SoundBlock to your device and you're ready to go! You get a call on your connected smartphone? Simply tap the button on the speaker to answer the call and make a call using the built-in microphone. With a playback time of 8 hours and a charging time of 3-4 hours, you can enjoy music anytime, anywhere.